Notes from the Toybox: 5 words to chill the spine - "She's Been In Timeout Today!" 5 words to chill the spine - "She's Been In Timeout Today!" Doesn't look very safe that, does it? Of all the days to misbehave on, Princess C chose the very day we were due to go in for Parents Evening to play up at school. Not just play up, but answer her teacher back - something that she's never done before, and behaviour that is so unusual in her that we were slightly taken aback by it. 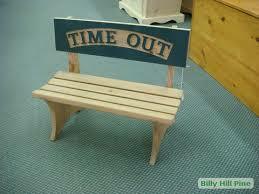 Her teacher beckoned to me at hometime and said "She's been in Timeout Today!" and after drawing out the reasons, that age-old chestnut - not sharing - seemed to be the root cause of the incident that led to Princess C being stuck in timeout for a while. Naturally, the bravado and cheekiness soon evaporated when Teacher (the real boss in the classroom) made good on her word and stuck C in the corner. C broke down in tears, started to hyperventilate (this happens at home too, she basically gets herself into such a state we think she's going to stop breathing and it seriously scares the crap out of us!) A slight distraction or a return to normal and it's all over and done with. Thankfully the parents evening report was a good one, she's as bright and as smart as we thought she was but even princesses 'play up' sometimes, it seems. My reaction was slightly different to @thestrollingmums - I was quite stern. Not shouty, not angry but stern with enough seriousness in my voice that she knew she'd done wrong and didn't try to gloss over it. We made her apologise to her teacher (which she did very timidly) and that was the end of it. Not pleasant though. She's such a good kid most of the time but every now and again the rebellious streak we can well imagine developing further as she gets older bubbles to the surface.